We have been watching “Fast & Furious” franchise like a TV series, it is still one of the best racing movies. We all felt terrible when we heard that we are going to lose a valuable character forever. Paul Walker faced a cruel accident (car crash) and unfortunately he died along with his friend. Paul Walker’s death was so shocking and tragic. 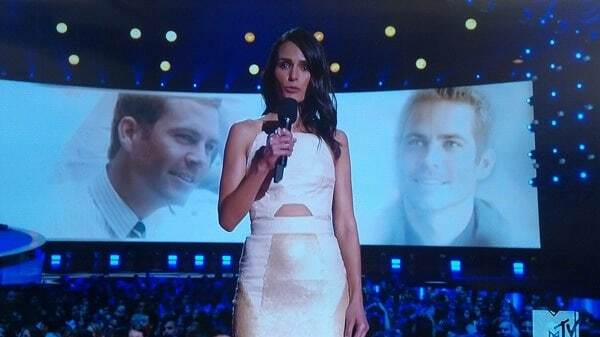 Watching this “Paul Walker Tribute Video” by MTV Movie Awards (2014) reminded us that he is more than just a cinema person. They were kind enough to pay a heroic tribute to a fine actor who will be remembered for his on-screen attitude and philanthropic works. This video contains clips from various movies Walker starred, they also included some pictures and videos which were took during his philanthropic work. Paul Walker’s favourite and close co-star – ‘Vin Diesel’ – has few words to share regarding his friend.